The scam continuous and names need to be changed to avoid innocent consumers finding the warnings on the web. So another name for a FAKE procurator has seen the light; Luca Efalquin Procuradores. Luca Efalquin is not a procurator; Luca Efalquin is the person providing the bank account for the payments that are requested by this fraudulent set up in Tenerife. 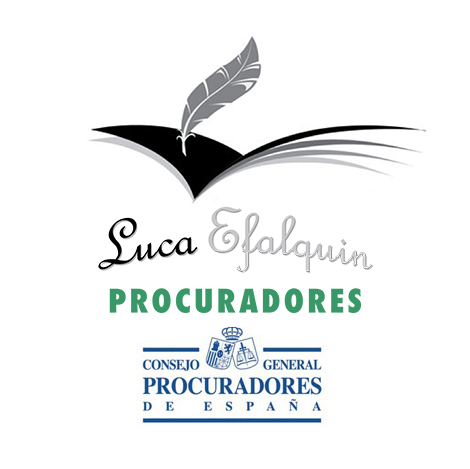 The procurator Luca Efalquin has been used for payments requested by Abogados Litigacion but we have no doubt the name can be used as well by any of the other fake lawyers companies. DO NOT PAY ANY MONEY TO LUCA EFALQUIN PROCURADORES! From what we understand is that if you are about to pay this fake procurator, you already paid other fees and you were told this now will release the “cheque” with the awarded money. Please note that the copy of the cheque they send through is FAKE and if you would pay the fees to Luca Efalquin Procuradores, soon you will receive an empty envelope with the cheque gone. If you have been speaking to Abogados Litigacion or any of the other fake lawyers from Tenerife, please do let us know. This entry was posted in Canary Islands, Fake lawyers Tenerife, Fake Lawyers Tenerife, fraud, Legal Services, Mediation services, Tenerife, Warnings and tagged Abogados Litigacion, Arona courts, Cold Calls, Fake claims companies, Fake lawyers Tenerife, Fake Procurator, Litigacion Abogados, Litigalo, Luca Efalquin Procuradores, Sta Cruz Court. Bookmark the permalink.